Winter is the most difficult time of the year for solar energy production. In some areas, snow covers solar panels and clouds hide the sun, both of which reduce energy output. While solar energy system owners in northeast Florida typically don’t have to worry about snow, they should make preparations to deal with the decreased amount of sunlight during the day and for cloudy days that are common during winter. Making these adjustments is important for your solar energy system to continue working optimally. During the winter months, the days are shorter, which means that energy production will be less. In order to compensate for this problem, you should change the angle of your solar panels. The way you should angle your panels depends on your location. Check out this website and put in the country, state, and city you’re in to get the best angles for your system for each month in winter. When clouds cover the sky, it reduces your solar energy system’s production significantly. Your system makes up to 25 percent less energy on an overcast day than on a sunny one. Unfortunately, there’s no way to swat clouds out of the sky or increase the system’s production rate to compensate. You’ll have to wait it out. 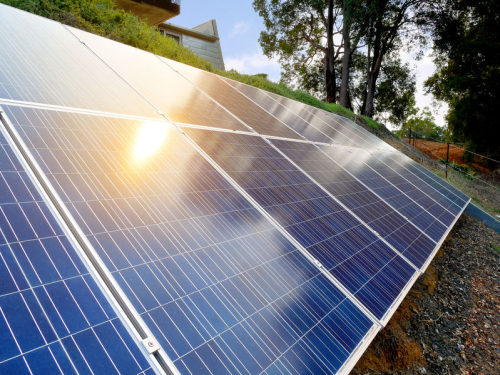 If you depend on your solar energy system to power appliances or electronics that run continuously, such as your refrigerator and computer equipment, it’s a good idea to invest in a solar energy battery. This way you can ensure that even on cloudy days, you have uninterrupted power.Because Florida winters are usually mild, taking a few precautions should ensure that your solar system performs well during the winter. If you need help adjusting the angle of your solar panels for winter or would like to buy a solar energy battery, contact A1A Solar today, and we’ll be happy to help you.